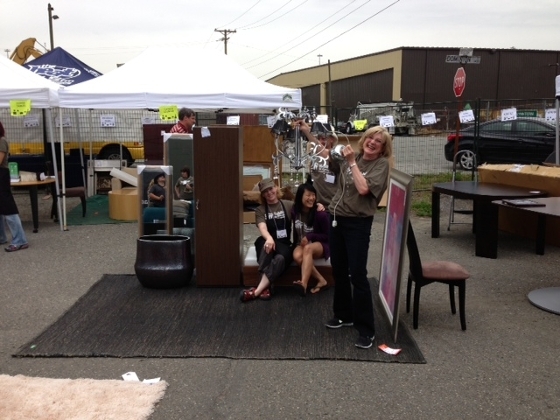 At the Habitat for Humanity ReStore Interior Design Institute Garage Sale today, my team called the "Design Divas" had 10 minutes and we could scout out 10 items to put together a "room"! Here I am holding up the chandelier in our "Foyer"! Guess what - we lost but had such fun and all for a good cause! Thank you to everyone that came by and made it a huge success!